Thanks to inspiration from @In_The_Taratory I ventured into Barton’s back-lots to search for a fabled food van that served the best burgers in the inner south. This van was legend amongst public servants from the surrounding office blocks as far as DFAT, AGs and Treasury. Luckily I got there just before Christmas and the rumoured closure over much of January, when the parliamentary triangle drifts into a temporary slumber. I was very impressed. After being greeted by Gaby through his small ordering window I was greeted by one of the waiting staff and wished a Merry Christmas, and given a chocolate treat to enjoy with my drink while the hamburger (with the lot) which I just ordered was cooked. Gaby’s is excellent value and the burger tastes just as good if not better than the many more upmarket (and more expensive) burger joints sprouting up all over Canberra. Gaby’s is a bit of a time capsule, reminding us how small family-run burger joints and take-aways should be. Needless to say I was very impressed with my $8 burger with the lot + $2 drink. 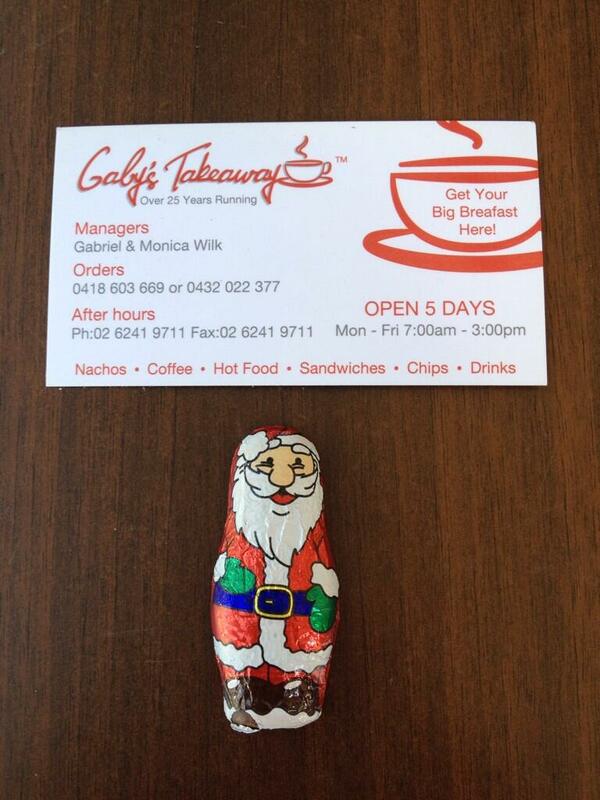 Should mention that Gaby’s only opens weekdays when those lucky public servants are around in large numbers. 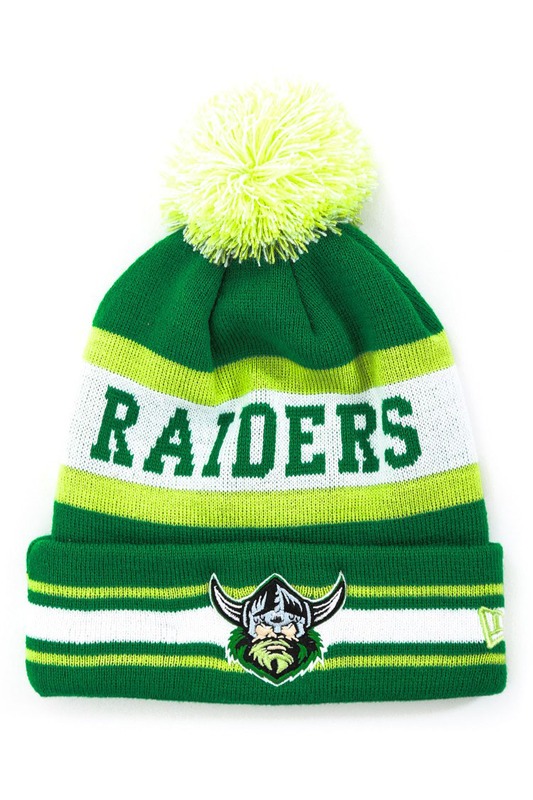 Gaby’s gets a predictable 3 #Canberra Beanies. 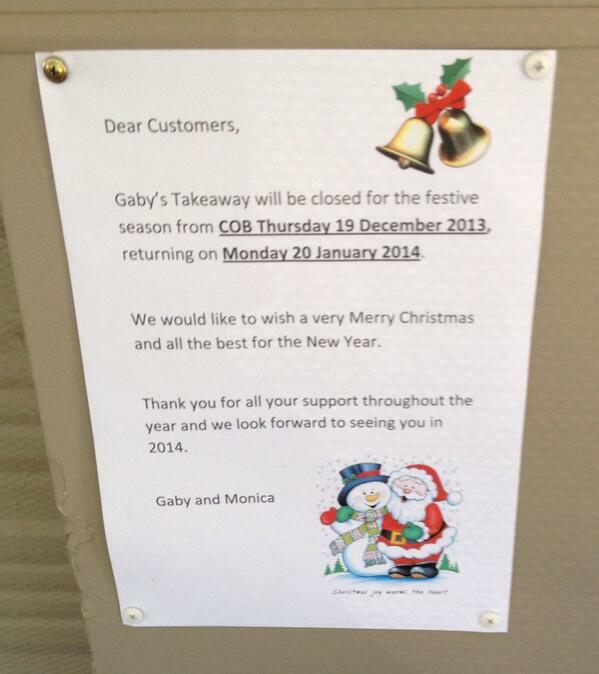 Update April 2014: Gaby’s is now under threat from a relocation order via the NCA. There is an online petition if you’d like to help and stories on the Canberra Times and Riot ACT websites. I also noticed recently that Gaby’s wasn’t featured in Urban Spoon so have remedied that (although how much longer they will be able to stay in their current location I do not know). 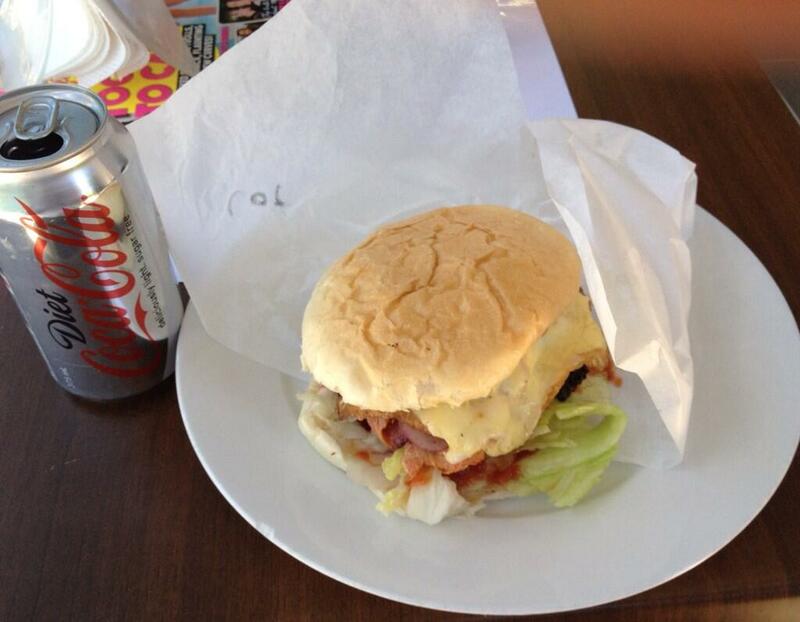 This entry was posted in 3 #Canberra Beanies, Current Top Ten - highly recommended and tagged barton, burger, Gaby's. 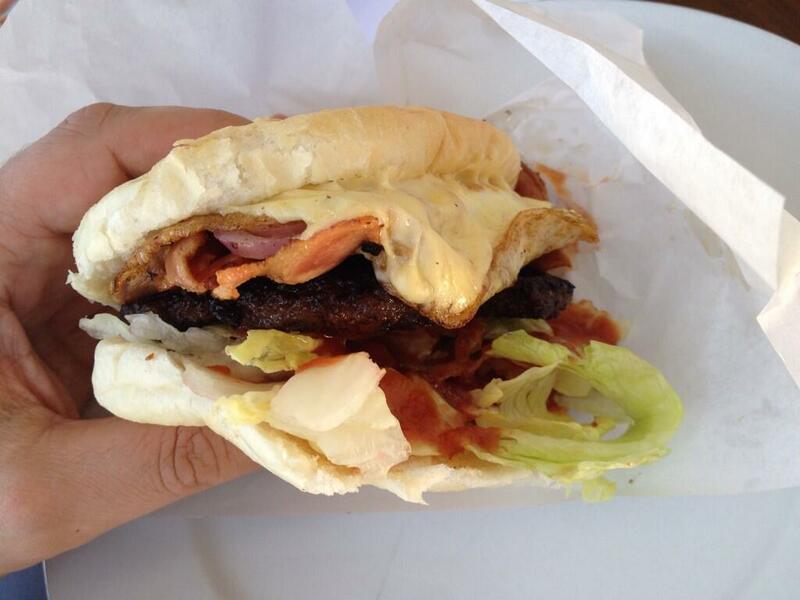 best burgers in Canberra, cheap and cheerfully made by the really friendly staff. This is what a good takeaway is all about! The table waiter is always fast, efficient and really friendly too – Gaby’s is doing everything right!